Acquired brain injury (ABI) refers to injuries to the brain such as stroke or traumatic brain injury (TBI) that are neither developmentally nor classically neurodegenerative (like Alzheimer or Huntington disease). 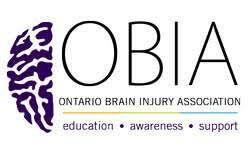 Each year in Ontario, 18,000 people sustain an acquired brain injury (ABI), and at the current time there are almost half a million people in Ontario living with a brain injury. Acquired Brain injury (ABI), particularly of the traumatic brain injury (TBI) type, is one of the leading causes of death and lifelong disability in North America, particularly in children and adolescents, and it is the most common cause of brain damage in children & young adults. In Ontario, ABI is 15 times more common than spinal cord injury, 30 times more common than breast cancer, and 400 times more common than HIV/AIDS. Acquired brain injury (ABI) can be caused by a variety of situations, factors, or conditions. One of the most common forms of ABI includes traumatic forces to the head which cause damage to the brain. These are often sustained due to the following: car crash, falls (especially in the very young or very old), objects falling on the head, and assaults. Sometimes the head doesn’t have to even hit something for a brain injury to occur. These are referred to as “Acceleration-Deceleration Injuries”. Serious damage can occur with no contact whatsoever. Stroke and/or bleeding in the brain can cause ABI. Lack of oxygen to the brain can also lead to death of brain tissue. Sometimes this results from things like near-drowning, heart attack, or drug overdose. Infections in the brain can lead to ABI. Toxic exposure to chemicals can lead to ABI, such as carbon monoxide poisoning, inhaling toxic chemicals, solvent sniffing, and excessive and prolonged use of drugs and/or alcohol. Sometimes ABI is caused by fluid build-up in the brain. Brain tumours or malformations are also a form of ABI. Most patients discharged from inpatient rehabilitation continue to experience some degree of injury-related functional difficulties that impair their ability to return to work or reintegrate into the community. Caregivers of ABI survivors are most often family members who often give up their normal lives to provide care and support for the disabled member.In Ontario, most brain injury caregivers are aging parents of the injured person, and they are often struggling to provide care while experiencing their own age or health related disabilities (OBIA Impact Report 2012). While the brain injury survivor’s disability is likely to be relatively stable over the long-term, caregiver stress and even depression commonly increase in frequency and severity over time since the injury. It is important for caregivers to receive support on an ongoing basis. The Brain Injury Association of Peel Halton has some excellent peer support groups for brain injury survivors and caregivers. At Brookside Psychologists, we offer comprehensive assessment and treatment for brain injury. Our psychologists and neuropsychologists have advanced training in clinical aspects of brain injury as well as the insurance-related and medical-legal issues involved following brain injury. Catastrophic impairment assessment is provided for those who have sustained serious traumatic brain injury in a motor vehicle accident. Fees may be covered by extended health, auto insurance, WSIB, or Veterans Affairs. Our psychologists and psychotherapists offer assessment and treatment to children, teens, and adults who have sustained a brain injury. We also provide supports and guidance to family members and caregivers. Our clinicians are experienced and knowledgeable about medical-legal, multidisciplinary, and auto insurance issues when working with clients with brain injury. Our clinicians also have advanced training and experience in working with moderate to severe traumatic brain injury as well as concussions or “mild traumatic brain injury”.